Richmond Plan to Stop Blight and Foreclosures. The Richmond plan to stop blight and foreclosures is getting national coverage. Much of it is favorable. Event the business press is taking it as a serious alternative to watching our cities be overcome by blight. The use of the City's power of eminent domain to back the plan when necessary draws the attention. The banks that cause this crisis are roaring. The reality of course is this is really a win even for the financial sector. If the city can stop blight it maintains, stabilizes, and even increases the value of all the houses in the neighborhood. This benefits all the holders of mortgages in the city. Hear also Richard Wolff's national radio commentary praising Mayor McLaughlin. Download it from KPFA here (about 50 minutes into the program). Both Richmond's law suit against Chevron and the huge Climate Chaos Demonstration have received national coverage. An article by Richmonders Steve Early and Suzzane Gordon was carried by several national on-line news feeds and blogs. The bank's efforts to stop the plan may be just posturing that will last only until discovery starts in the lawsuit, which is something the banks will not want to be subjected to. Now we hear that "Fannie Mae and Freddie Mac may be barred from buying home loans in cities that are threatening to use 'eminent domain' legal powers to seize mortgages, their regulator said on Thursday." Well, Fannie Mae and Freddie Mac are basically criminal enterprises that President Obama plans to close down: "For too long, these companies were allowed to make big profits buying mortgages, knowing that if their bets went bad, taxpayers would be left holding the bag," the president said. "It was 'heads we win, tails you lose.' 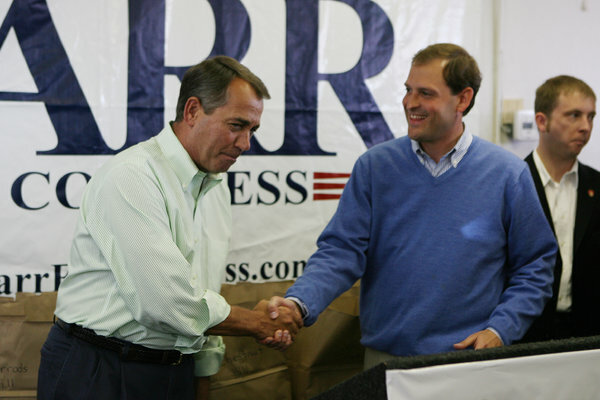 "
Representative Andy Barr, right, with Speaker John A. Boehner, has raised more money from finance industry PACs than many longtime House members have. This is all so hypocritical and cynical, as the giant lenders, who were bailed out by taxpayers, circle the wagons to make sure their victims, ordinary people and cities like Richmond, have no way to dig themselves out of the hole the lenders created. How can the finance industry get away with this? Check out the New York Times article about how Congressional representatives who are friendly with the industry have no shortage of campaign funds. 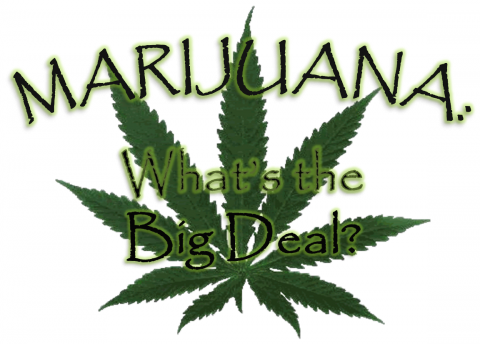 The CNN Poll shows that Americans are overwhelmingly (more than 85%) in support of medical marijuana. Many other experts share this view, assuring us that increased reliance on "clean" natural gas combined with expanded investments in wind and solar power will permit a smooth transition to a green energy future in which humanity will no longer be pouring carbon dioxide and other greenhouse gases into the atmosphere. All this sounds promising indeed. There is only one fly in the ointment: it is not, in fact, the path we are presently headed down. The energy industry is not investing in any significant way in renewables. Instead, it is pouring its historic profits into new fossil-fuel projects, mainly involving the exploitation of what are called "unconventional" oil and gas reserves. On Saturday, August 17, Academy Award-nominated director Mark Kitchell ("Berkeley in the Sixties") will appear in person at the Magick Lantern following the 5 pm and 8 pm screenings of his new eco-documentary A FIERCE GREEN FIRE. Kitchell will discuss the making of the film and the future of environmental activism as well as take questions from the audience. A FIERCE GREEN FIRE shows August 16, 17 & 18. More information at www.themagicklantern.com. and other labor and union reform activists for a discussion on the latest developments inside labor and the new organizing we need to rebuild our power. Ken Paff is the national organizer for Teamsters for a Democratic Union, the largest and longest-running grassroots labor reform movement in the U.S. Directions / Parking: 747 Lobos Ave. is at the corner of Lobos and Western in the part of Pt. Richmond facing the Bay. Parking may be hard to find unless you proceed down Western, toward the Chevron pier and park beside the small park on your left. Call for further info about bus connections from the Richmond BART to Pt. Richmond and possible pick-ups if you are using public transportation. Call 510-260-0636 to R.S.V.P. or get directions.